Twitter is an online news and social networking site where people communicate in short messages called tweets. A tweet may contain photos, videos and text. Tweeting is posting short messages for anyone who follows you and the public. In 2018 Twitter had 336 million active users. It has grown in popularity in the last two years because of its use by politicians to state their positions on an issue. 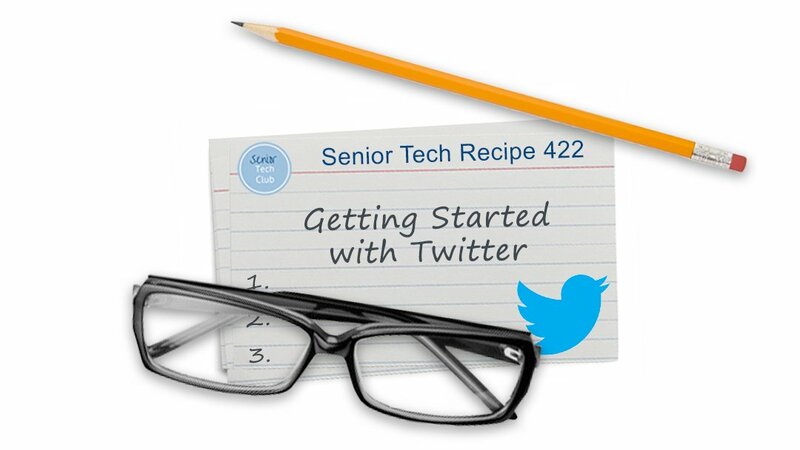 Use this recipe to learn the basics and using a recipe to get started with Twitter. Why Would I Use Twitter? You can also follow news and Twitter has become a popular way to follow breaking news. You can set up your own personal newsfeed. Access to expertise. Follow a #hashtag or influential people Tracking trends, hobbies or favorite subjects. The latest viral and popular YouTube video has certainly been shared on Twitter. Follow Celebrities. Popular celebrities often communicate with their fans on Twitter. And if a celebrity has done something newsworthy, you might learn about it on Twitter. Find online friends who share common interests. Follow company and brands. Many companies put product and service announcement on Twitter. It is also common to get product support via Twitter. You can follow @AppleSupport to track and communicate with Apple’s support team. Tweet – A Tweet may contain photos, videos, and text. With text, a tweet is limited to 280 characters. Be default Tweets are sent to the public and can be viewed by anyone. A Retweet is a tweet posted by someone else that you forward to your followers. A retweet is often used to pass along news or other valuable discoveries on Twitter. Follow – You subscribe to the Twitter account by following them. Anyone on Twitter can follow or unfollow anyone else unless the account is blocked. Tap on an @ Username to get to the follow bottom. Their Tweets will show in your Tweet stream. Hashtag – A hashtag is any word or phrase immediately preceded by the # symbol. When you click or tap on a hashtag, you’ll see other Tweets containing the same keyword or topic. A hashtag is a way of categorizing Tweets. Direct Message (DM) – Direct Messages are private messages sent from one Twitter account to another account(s). You can use Direct Messages for one-on-one private conversations. Profile – Your profile displays information you choose to share publicly, as well as all of the Tweets you’ve posted. Your profile along with your @username identify you on Twitter. Like – Liking a Tweet indicates that you appreciate it. Promoted Tweets/Videos/Trends/Account” represent paid advertising found in your timeline. When you use Twitter, you have options on the level of sharing and engaging that are in our comfort range. Your activities can vary based on your interests and comfort and reside on a spectrum. After you are comfortable with the apps and site, you can always increase or decrease your level of engagement. With Twitter, the things you share are public by default so you will tend to tweet less about family events and more about the topics that interest you. PAGE_BREAK: PageBreak Here are ranges of engagement that you can consider. Here are some tips on Provacy and Sharing to help you get started. Understand how information is shared and what are the risks. 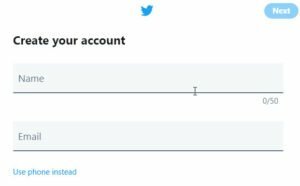 Remember the default setup will make your Tweets public for all to see. Do not Tweet personal information including address, phone numbers. Remove location information from your Tweets by turning off Tweet with a Location. Do not put personal information into your profile. If you only want your Tweets to be viewable by the people that follow you, turn on Protected Tweets in Setting. How can you use the platforms in a practical and age appropriate way? Unless you are promoting a business organization or a cause, your primary use for Twitter may simply be to consume the Tweets of the news, organizations and people that you follow. Follow the brands and products you use in order to look for tips and support. Use Twitter to follow the comments and responses on live events like televised award shows. You can also use Twitter for vote for candidates in reality talent shows. Often you only need to Retweet to vote. 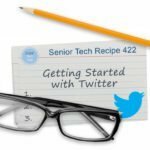 The Twitter platform with all of its terms, privacy elements, #hashtags and followers can be daunting for a beginner. 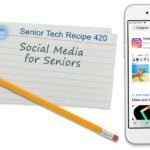 But with a methodical recipe as your guide, you will soon be able to experience the level of Twitter engagement that is right for you. Understand Twitter role and basic terminology. Before you sign up, have some basic understanding of what Twitter is and your Level of Engagement. Install the App from the App store or use www.Twitter.com on your desktop or laptop computer. You can use both with the same account. Create a Twitter account. Use your email as the login and record your password. Add your picture to your profile to help your friends identify you. A selfie that you take with your iPhone is perfect. Find a few interesting people to Follow. Consider your local politicians, news people and celebrities to get started. Look them up in the search bar by name or organization. Click the Follow button. Don’t be surprise if they follow you in return. Spend some days, even weeks only reading Tweets from the people you follow. It is OK to be a lurker while building your confidence. Lookup trending topics or new in the search bar. Identify the hashtags that identify those topics. 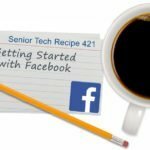 Use photos for your initial status updates. It’s a good way to get started with events and only requires a few words of text. Remember the default setup that you are sharing with the public. From the Photos app, tap Share and select Twitter to Tweet that photo. Keep Exploring. Soon your Twitter activity will keep you engaged with news and trends. Use the following questions to determine if you understand the skills taught in this lesson. Do you know how to access Twitter? Can you describe terminology like: Tweet, Follow, Hashtag. With the default setup, who can see a tweet you post?